World of Saz: She Wants It Her Way!!! She Wants It Her Way!!! Dane Cook aside, it's time for another Shared Topic from Blog Azeroth. I know it's been a while since I've done one of these, and I figured that it was high time that I hop back in that saddle. This week's topic is brought to us by Naithin, creator of Fun in Games. Pretend for a moment that WoW hasn't yet been released. Or perhaps it is, but you've never heard of the whole SWG NGE debacle, and thus have no fear about dramatically changing how everything works post-release. You have the original (or BC, or Wrath, or Current, your pick) design docs to start from, but you're free to change absolutely everything if you so choose. With all this power, what would you change? What would make WoW the dream game for you? This is a fairly loaded question. Now, I could overload this page with a wall of famously crit-filled Saz text (oh, it could be quite easy...I have my happy/productive music channel rolling on Pandora right now), but I shall refrain. Instead, I'm going to focus on three different aspects of WoW that I'd change if I had such magical designing powers. There is nothing more that I enjoy more than customizing. My favorite part of creating a character is getting that little avatar to represent the persona that I want to play. Now, I didn't play Aion, but the boyfriend did. One of the few things that I liked about that game (from what I saw at least) was the ability to customize your character to the T. You want to be some obese dude with blue skin? Go nuts. I would absolutely love some of the customization offered up in Aion, or even The Sims 3 to bleed into World of Warcraft. What if I wanted my Night Elf Druid to be a bit shorter than the rest? What if I was curious about how a Draenei looked when pregnant? What would happened if a Gnome and a Tauren just so happened to mate? Okay, that last one may not be able to happen...some of the customization would of course have to fit within WoW's lore, no two foot tall Tauren or seven foot tall Gnomes now...I'm sorry, but the line must be drawn somewhere. However, the ability to be able to choose your players height (within the rough restrictions of your chosen race of course), the facial features, hair color (I'm talking full shades here people), hair type/length/cut (more than what we have now at least), and body build would be very, very awesome. 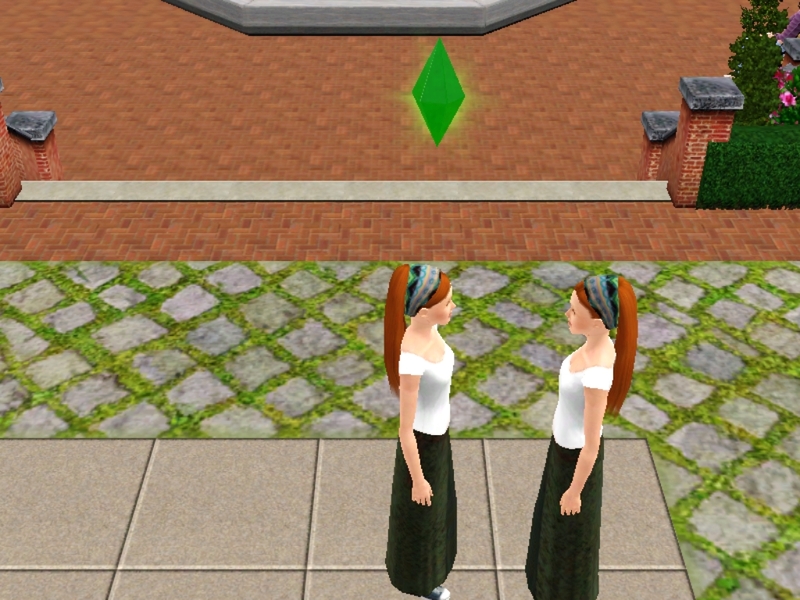 I just have a problem with looking like a clone, okay? Real estate would be a bit hard to come by though. Given the physics of Azeroth, coupled with our player population ratio per server, there may not be enough room for everyone to have a house and to keep the continents found on Azeroth from looking like New York City from one coast to the other. The next idea that I'd whole-heartedly accept would be a guild hall. Now, this could simply be a portaled off part in the city; for those of you who remember the PvP room in Stormwind, how that was instanced for pretty much ever, I'm thinking something along those lines. One portal door for all to go into, but inside would be two things: 1) A commons area, decorated/arranged by the GM of the guild and whoever he/she gives decor permissions to and 2) Another portal inside the room in which each player has a personal, dedicated space in which they can "lock" people out of or allow certain people in. When wanting to go visit a person in their room (they must be online), they simply walk up to the personal room portal, a selection box would appear, and they'd choose either their room or the room of the person who has given them permissions to enter. They would not have to be within the same guild to enter (it's magic after all!). Of course each personal, dedicated room would solely be decorated/arranged by the owner, and potentially shared throughout the entire account. Ideally though each account would get a house in an area of their choosing (apartments available in all major cities, cottages in the country sides, mansions on ocean-front property, etc), and then there would be Guild Hall commons in all the major cities, which would be accessible to all guilds and their players, whether or not the players decide to have a place of their own. For the love of everything cute and fuzzy, let us choose our aquatic forms! I want to be a giant sea turtle or orca...this "seal" form is just...well, it's not as pretty as our other forms. If I want to be a giant sperm whale one day, and a tiny star fish the next, who says that I shouldn't be able to? I'm a druid darn it! Also? I to be able to choose my tree form (bring it back!!) and color. 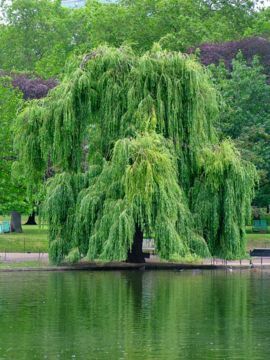 I'd rock the birch tree form, or perhaps even the weeping willow. Imagine the /cower emote on that sucker. Win! Outside of the options to personalize things more, I'm rather fond of how World of Warcraft is currently set up. I love the structure, I'm rather fond of the maps, I love the characters and personalities involved...just give me the ability to give my Shaman bright pink dreadlocks and a place to call my own and I shall be happy until the end of Azeroth! My Computer Got Into the VD Spirit!